I got great feedback about my January post on yummy salads, so I thought I'd feature more of my salad recommendations. These are very filling, making them perfect for when you're working on getting a beach-ready bod this summer! The name says it all. 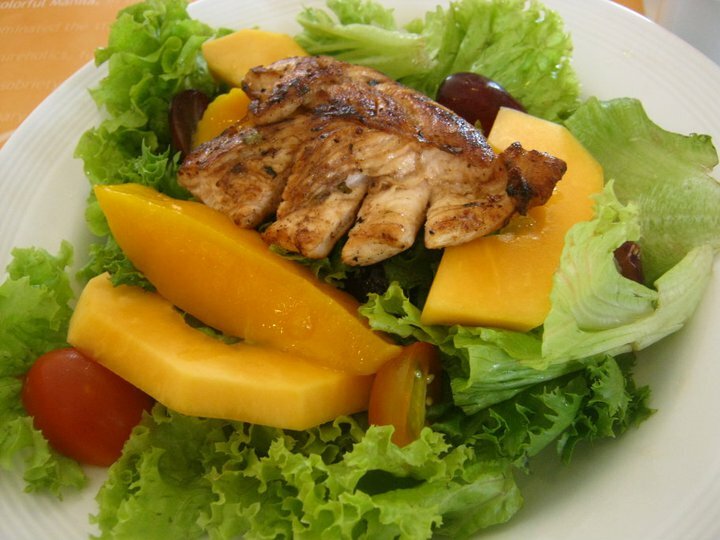 The tasty chicken, grilled to perfection, tops a toss of fruits in season--mangoes, papayas, melons and grapes. Mixed with some tomatoes over lettuce, this salad already packs enough punch even without the dressing. 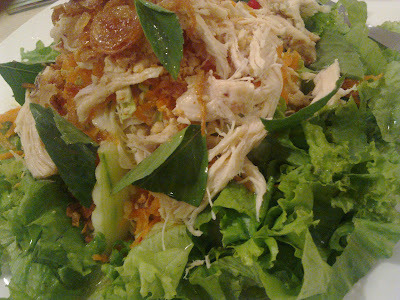 Pho Hoa's generous servings of lettuce, cabbage strips, carrots, cucumbers, chicken, onions and nuts and basil make its Chicken Salad a complete meal in itself. One of the things that makes it stand out is the dressing, which is syrupy, vinegary and a little spicy. It's tough to describe, really, and I can't quite figure out what it's made of. The good thing is you can purchase a bottle for only about 180Php!